Interested in a great career working on diesel-powered vehicles and engines? Begin earning an Associate in Applied Science (AAS) in Caterpillar Technician Training at Mesa Community College and, in less than two years, you could be working an in-demand job for the legendary big equipment company as a fully credentialed Caterpillar Dealer Service Technician. MCC is the only Arizona college partnering in the ThinkBIG training program with Caterpillar and local CAT dealer Empire Southwest. Through hands-on training and internships, you’ll study how to use advanced technology to service and repair Caterpillar machines and equipment. Gain knowledge in electronically-controlled engines, sophisticated computer-based diagnosis and state-of-the-art hydraulics and transmissions, as well as other high-demand skills. The program combines general education curriculum, specialized technological coursework and practical experience. Successful completion of the Caterpillar Technician program may lead to employment in a variety of different occupations and industries. Below are examples of related occupations with associated Maricopa County-based annual median wages*. Some occupations may require additional education or training. You can click on any occupation to view more detail regarding education level, wages, and employment information. This is a partnership program. You will be an MCC student AND a Student Caterpillar Technician in the ThinkBIG program at Empire Southwest. First, enroll in MCC and take placement tests to discover the classes in which you are best able to succeed. There is no cost for enrolling in the college or taking the tests. You pay only when you register for classes. Apply for the ThinkBIG program, admission is competitive. Applications are taken between January and March, interviews are held in April and May with classes starting in the fall semester (August). 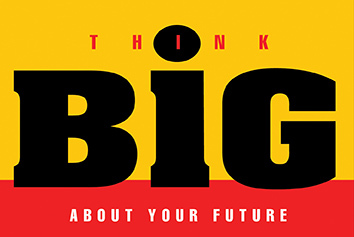 MCC can help prepare you to qualify for the ThinkBIG program with general education courses as well as automotive and welding classes. For more information, contact the MCC program director at steve.skroch@mesacc.edu.